A strong number was expected and projected in the article “Decidedly Good December Jobs Forecast.” The report was even stronger than expected. The article “Final Jobs Report of 2018 was Stellar” explained how the non-seasonally adjusted Current Employment Statistics worker data rose while the non-seasonally adjusted current population survey jobs data fell. The seasonally adjusted unemployment data and jobs data rose, which meant that he headline participation data rose. All Sectors except Information Technology grew December to December. The largest percent gains, non-seasonally adjusted, were in Mining and Logging (M/L,) Construction, PBS, and Manufacturing. 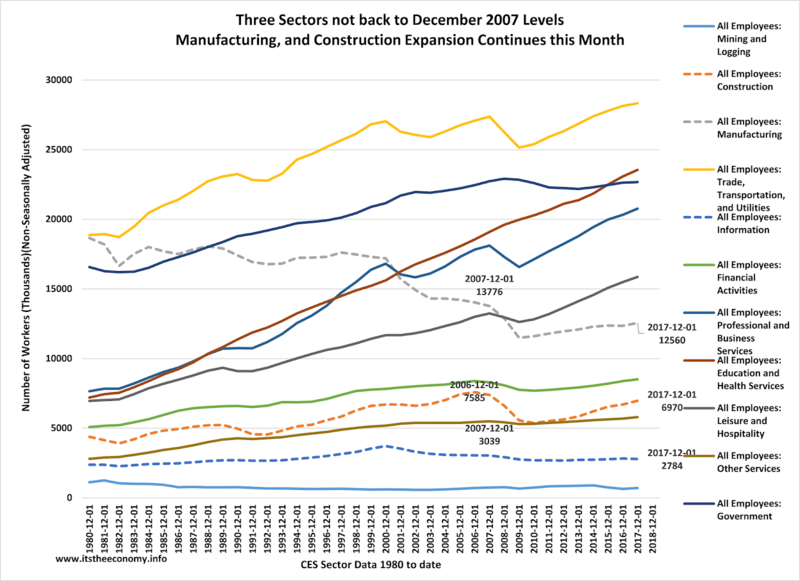 Three sectors still lag behind their December 2007 levels: Manufacturing, Construction, and IT. The good news here is that Manufacturing and Construction are rising in numbers. Month to month the non-seasonally adjusted data was pretty much as expected. We saw a drop in Construction, IT, Professional Business Services (PBS) Other Services, and Government. The Non-Seasonally Adjusted data grew most, month to month, for TTU, and Manufacturing. There were also gains in Financial Activities, Education and Health Services (EHS,) and the Leisure and Hospitality (LAH) sectors. The growth in LAH, TTU, and EHS matter because these are three of the for lowest paid sectors and the sector with the most job openings, month in and month out. Seasonally Adjusted All Sectors grew month to month and December to December except IT. The largest growth, by percentage, was seen in Mining/Logging, Construction, EHS and LAH. The Annual growth rates were in virtually the same with the largest growth in M/L, Construction, PBS, Manufacturing, and EHS. What about Wages? There are a couple of ways to look at the data. We set average hourly wage records, plural, We had people working more average hours this month. Multiply those two numbers and we had a huge spike in total average weekly wages. When wages, hours, and workers soar then the total wages earned skyrocket. When earnings soar people can spend more money and buy homes. Are we trying to lure people back into Information and Technology? The average hourly rate for IT spiked by 15.53%. Their hours worked spiked by 3.92% They earned 19.15% more this December than Last December, on an annualized basis. Mining and Logging workers are working overtime, literally. So are those in Manufacturing. 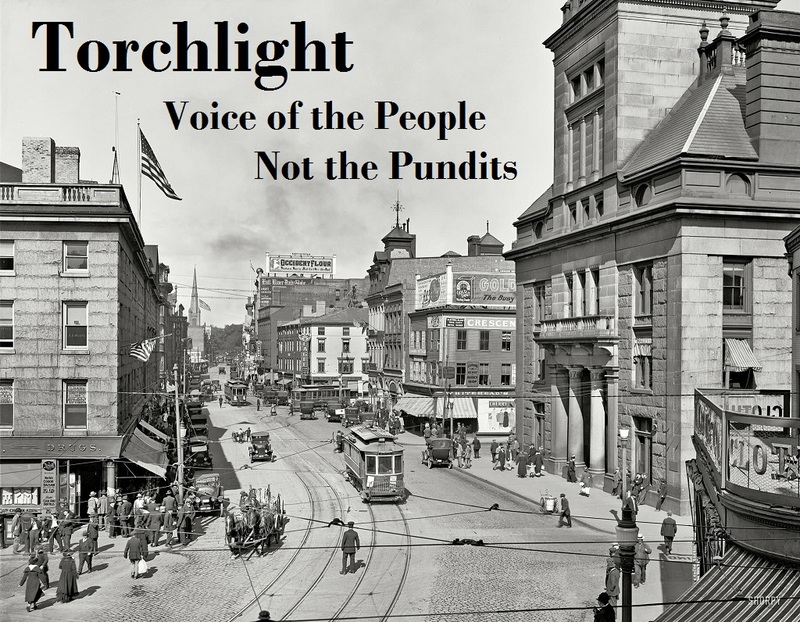 The lowest hours worked and lowest wages worked in Leisure and Hospitality. You say “This doesn’t match what was in the papers?” They are using seasonally adjusted workers, seasonally adjusted hours, and seasonally adjusted wages. Jobs are up compared to last December. More workers are working than last December. They are working more hours and getting paid more by the hour. Watch the economy soar.